In 2016 ITC together with her counterparts and financially supported by the Dutch government organizes three refresher courses in various countries around the world. These courses are open to alumni in these and neighbouring countries who completed any NFP-funded training or education programme at least two years before the scheduled starting date of the course concerned. Poverty eradication and good environmental resource governance are relevant to many governments in Africa – and the Sustainable Development Goals of the UN. Better natural resources information can greatly improve the lives of the poor in large suburbs of many African cities and increase the food security of these populations. More than 70% of the world’s land tenures are not recognised informal systems, and East Africa represents a region where the problem is highly manifested. Traditional techniques used in these countries are unsuitable to overcome this situation: new geospatial technologies are needed to support the creation, maintenance, and use of land and agriculture local governance, as a key input to food security. The Southern African region is facing several challenges related to food production and biodiversity conservation with the advent of rapid environmental change including land use and climate change. Droughts, bush encroachment, alien plant species invasion and biodiversity loss of large herbivores and mammals are some of the pertinent problems plaguing the region. The CSIR has carried out an extensive needs assessment on the application of remote sensing in forestry, agriculture and environment. Stakeholders in the region have expressed the need for better spatial information to guide policy formulation and decision making to deal with the above threats. Many professionals have originally been trained either in GIS or in a combination of GIS and health. This course builds on the expertise brought in by the participants from either discipline and builds upon the skills taught in the original curriculum by offering a selection of more advanced cutting-edge topics. We aim to enable participants to more effectively use spatial information and geo-information tools in dealing with a variety of public health issues. The course will not only highlight important public health challenges but also link these to actual health GIS applications and use open source software tools. you will be exposed to contemporary approaches and methods of spatial data handling and use of geo-information tools in the public health domain. In 2015 ITC together with her counterparts and financially supported by the Dutch government, ITC organizes three refresher courses in various countries around the world. These courses are open to alumni in these and neighbouring countries who completed any NFP-funded training or education programme at least two years before the scheduled starting date of the course concerned. Earth observation and geospatial technology has significantly grown but also changed over the last 10 years. While in the past the focus was on GIS and remote sensing (commercially available) software, the thrust now is on timely provision of data and their optimization using free and open source software tools to facilitate climate and disaster risk management. Climate and disaster risk management have just recently received significant attention, now being acknowledged as one of the societal benefit areas in GEO. Three important developments have occurred recently that have influenced the design of this course (i) the installation of GEONETCast facilities in Sub Saharan Africa (SSA) has substantially grown and now stands at around 70 stations. This manifests increasing demand and appreciation of these utilities (ii) the available digital products beneficial for climate and disaster risk management have increased with many new earth observation actors integrating data in the GEONETCast data stream. This is a positive development on the technology supply side which is strategically geared at helping SSA to confront the challenges of the adverse impacts of climate and disaster risks bearing in mind that SSA is the most prone (iii) climate change and disaster risk management policies have been formulated particularly in Eastern Africa and the issue of capacity development and optimizing spatial data figures prominently. Recognizing the importance of earth observation for climate and disaster risk management, deliberate efforts are being undertaken to further boost the infrastructural setup. 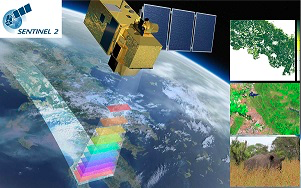 In this course, participants will be retooled with knowledge and skills on novel and contemporary earth observation technology crucial for climate and disaster risk management. Knowledge on issues of e-governance and public sector information system integration could help land offices to start developing and executing strategic plans to adhere to effective and transparent land administration services. This course supports the exchange of experiences from one local office to another, in order to learn from each other. 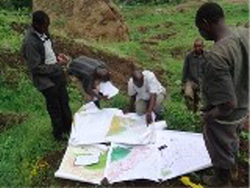 The course and the network generated by the course interaction could help to integrate information at a local level and provide better land administration processes and information services in efficient and effective manners. 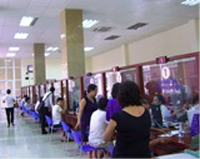 The public sector back office information could be better integrated and become more coherent in e-governance setting. Whereas in previous courses the main emphasis has been on designing and maintaining geographic and/or land information systems, but the elements of governance and integrating different systems in a wider government information within e-governance context has been left out. These issues require a broader insight of e-governance policy and strategy in dealing with government processes for effective land administration services, alignment model, technological enactment framework, citizens technical capabilities, and the potential of an electronic interaction of government with citizens as well as private sectors in a transparent manner. This course addresses these insights with e-governance issues in land administration for effectiveness, both technical tools and concept, managerial and institutional coordination approaches and knowledge sharing of practical experiences. Many low lying areas are subject to flood hazard. When they are close to coastlines there is an additional risk due to a cyclone, sea level rise, tsunami, etc. This is valid for many countries in Asia. 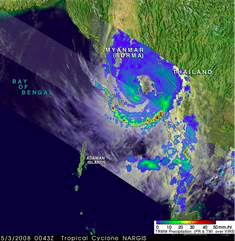 In 2008 tropical cyclone Nargis, affected densely populated Irrawaddy delta, causing catastrophic destruction and a reported 170,000 fatalities. Natural resources in Myanmar can still be considered relatively pristine, but the country is opening up for economic activities, e.g., oil and gas exploration, delta works, legal logging, development in tourism, etc., which can have a direct effect on ecosystem services. In additional illegal resource exploitation activities are also occurring. If a river system is affected by heavy sedimentation resulting from commercial logging in the upslope areas, it will have direct consequences for inland shipping, in addition to causing flooding problems. Urban expansion in the Irrawaddy delta can also enhance flooding situations in the settlement areas. This calls for the urgent need of water management before it is too late. Water management should not only limit to the location where there is a problem - it should start in the source areas. Geoinformation tools and data are well suited to address hydrological hazards. 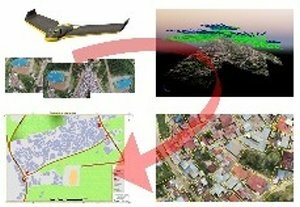 In this course, we will focus on the value and applicability of current modelling approaches, as well as the use of remote sensing data and modern image analysis techniques. There have been very interesting and relevant developments in the region, including the launch of dedicated satellites, the establishment of regional remote sensing centres such as GISTDA in Thailand, regional cooperation networks and disaster risk management and response protocols, but also significant technical and organizational developments in Myanmar itself.